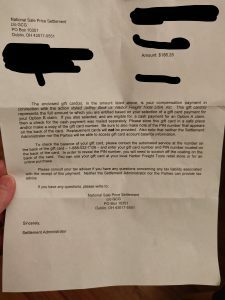 I thought I would never see the day that this would arrive. I thought for sure that they would fight this till the end of time. 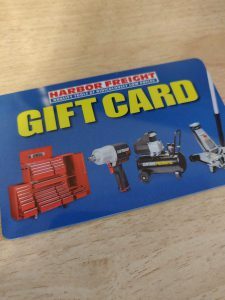 I got my gift card from Harbor Freight to the tune of $186.25. Wowza! What should I go get!?!? Thank you Jeffrey Beck. This weekend I spent some time gluing some walnut puzzle pieces, alder bases, and poplar bases (new wood choice). Next up, sanding the bases. This 5” random orbital sander has made my life so much easier when it comes to sanding! I’ve found that the 220 grit offers the most flexibility. The 220 grit is all I need for coarse and fine work. Once the incessant sanding was done, I wiped all the sawdust off and applied Danish Oil Finish. I also created an enclosed alder base that I think makes the puzzle even more challenging. You have to place the pieces in order since they can’t be slid in from the side like with the open base. I spent the weekend processing some standing cedar and elm wood. I thickness planed it down to the 3/4″ that I need for making sticks. I then made the sticks. What is fascinating to me is how bad these woods are to work with! Elm has a peculiar smell to it and has a very curvy grain pattern, so it is very difficult to know ahead of time whether the bevel cut I do is going to pinch or spread as I cut it. The standing cedar likewise has internal stress and I found that if the stick I process should be about 8″ in length or less, it binds too much and might kick back in a very unsafe manner. I created a Facebook page for the website. Hopefully it will drive traffic to the store here. Shop panorama after cleaning up. If I didn’t park my cars in my shop I don’t think I would keep it as clean as I do. To keep the sawdust out of the house I vacuum the floor. I will rest well every night regardless of who wins by voting for this candidate for POTUS. "Mr. Smith goes to Washington"